Just south of Dover lies a quaint community known as Magnolia. In the heart of this lovely area you'll find Southern Meadow. Enjoy a stroll by the pond, an evening with friends in the club house, or a quiet afternoon in your backyard. These single-family homes priced from the $120's offer a sense of belonging to a community. Southern Meadow is convenient to nearby Dover for shopping or dining, and also the newly renovated state-of-the-art Bay Health Hospital. 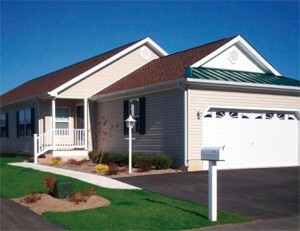 This cozy secluded community of 94 homes is located just 10 minutes from Dover and 35 minutes from the beach. All homes come standard with a 2-car garage and are fully landscaped with sodded and irrigated yards.